Read more about the most important things you need to keep in mind before a GRE retake, following our first article. Keep in mind that retaking the GRE may not be the right step for everyone. First of all, you need to know your program deadlines! You can only take the computer-based GRE once every 21 days, and only five times each year (even if you cancel your scores). Beyond that, remember that it takes 10-15 days for ETS to deliver your results—not just to you, but also to your institutions—and that’s if you use their automated service, rather than reviewing your scores before deciding where to send them! In other words, schedule carefully when considering a GRE retake. How close are you to the scores you need? 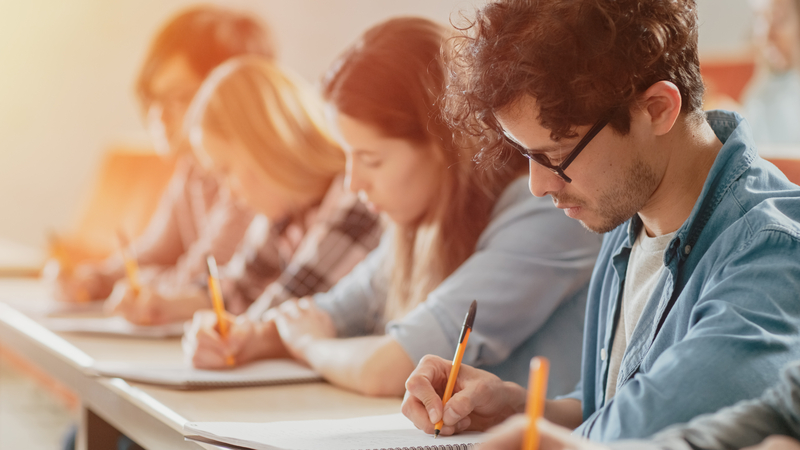 For your best shot at getting into your dream programs, you’ll want a GRE score that falls into the middle 50% range of your program’s admitted students. The best way to find this is by asking the department directly, as GRE scores vary drastically by program even within the same university. If you’re 5 points or fewer from hitting that range, it’s a good idea to polish up and take the exam again, particularly if you have time. If you’re 5-10 points away from that middle 50%, make sure you have the time, but know that it is doable with the right prep. If you’re more than 10 points away from your dream program’s score, give yourself plenty of time, and consider changing your prep strategy this time around to give yourself the best shot at boosting your score. How many times have you (already) taken the exam? One retake, as we’ve seen, is a good idea. Taking the exam three times is acceptable. If this is your fourth or fifth time taking the GRE, however, your energy will be better spent working on other aspects of your application—remember that while the GRE is an important factor in admissions, it’s not the only one, and you can compensate for low test scores with a stellar application in other areas. Are you just being a perfectionist? Finally, be honest with yourself: if you’re already scoring in the 90th percentile or higher, are you just going after that perfect score? Or are you trying to score so far above the median 50% of students admitted to your dream program that you think they’ll have no choice but to take you? Take a step back and breathe. Good enough is, well, good enough. Devote that wonderful energy to writing a stellar personal statement, polishing off your resume, and otherwise submitting an amazing, well-rounded application. In the end… it’s a good idea to plan on taking the GRE twice and schedule for it. In the meantime, get the best materials possible, practice test your heart out, study your weaknesses and learn how to improve them, and then give it your all on your test day(s). Good luck! Special thanks to Rachel for providing us with this article. Rachel Kapelke-Dale blogs about graduate school admissions for Magoosh. She has a BA from Brown University and did her own graduate work at the Université de Paris VII (Master Recherche) and University College London (PhD). She has taught and written about test preparation and admissions practices for eight years.